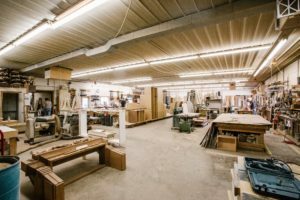 Elite Designs recently teamed up with local home builder, Jurek Builders, to create all of the unique bathroom vanities for a newly built home. 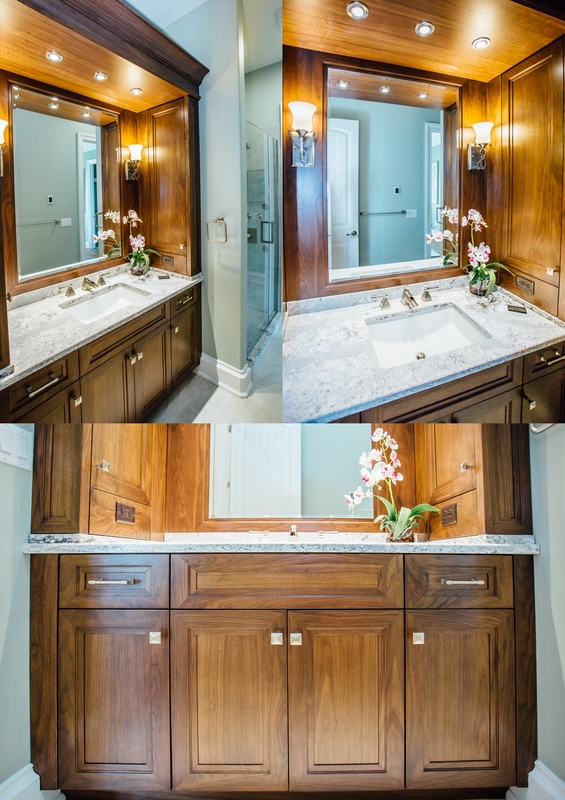 From a small main floor powder room to an expansive & luxurious master bathroom, all made with in a rich walnut hardwood with recessed panel doors. 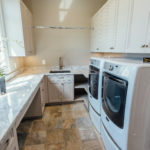 Each bathroom features the durable and maintenance free Cambria solid surface countertops in the Summerhill design. 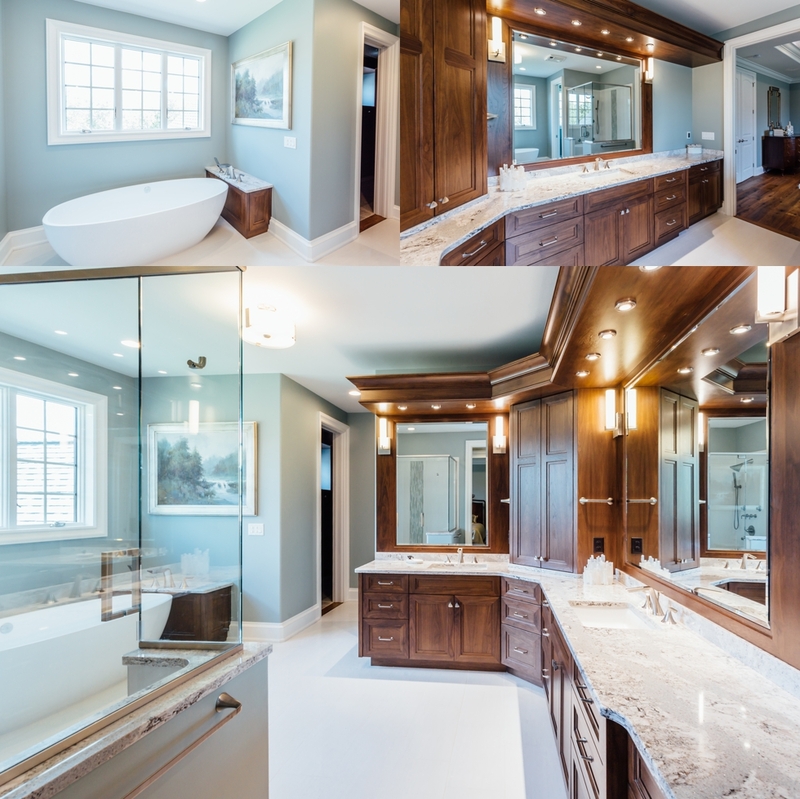 The his and her double vanities wrap the expanse of the master bathroom providing plenty of storage and counter space. 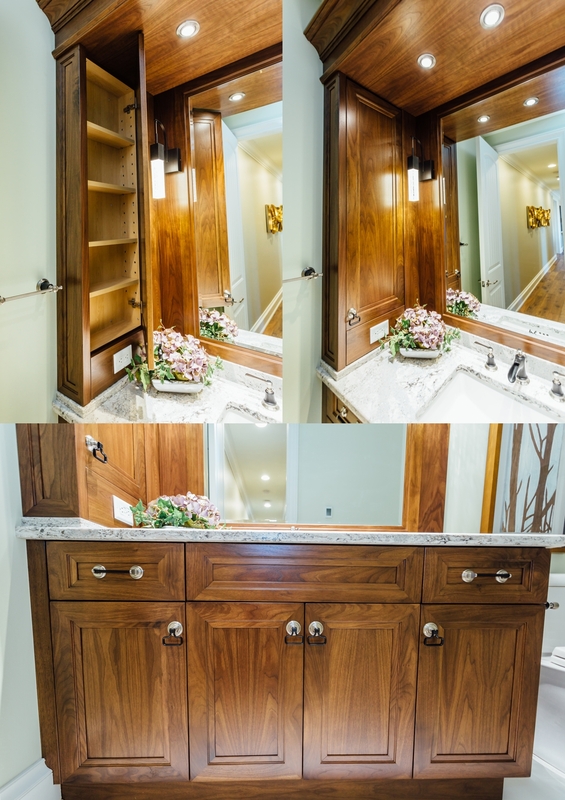 The walnut cabinets are contrasted beautifully with modern brushed nickel hardware pulls and knobs. 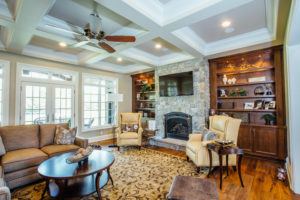 Light soffits provide plenty of light above each mirror. Guest bathrooms off of 1st and 2nd floor bedrooms would make anyone feel right at home. 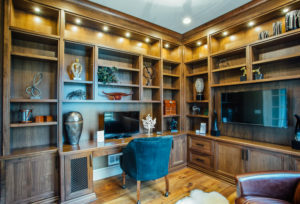 Creative storage on either side of the mirrors provide ample storage in even relatively small spaces. The downstairs powder room may be small, but it is filled with character. 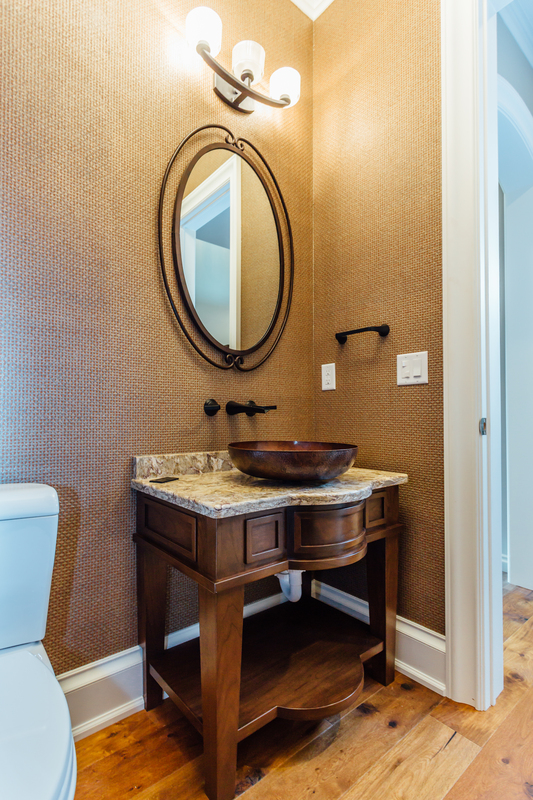 The freestanding walnut vanity features rounded front panels, a hammered copper bowl that sits on a Summerhill Cambria top, and wall mounted faucet in a black finish. Please feel free to share your thoughts! Which bathroom vanity is your favorite? We have many more elements of this beautiful WNY home to share over the next few weeks. 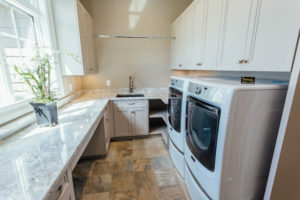 Stop by next week to see a functional and beautiful laundry room that will make you want to do laundry!